We can help each member of your family maintain a healthy smile by safeguarding against oral diseases like tooth decay, gum disease, and periodontal disease. We make it painless and convenient to restore many minor issues such as tooth fractures and decay. We offer a wide range of cosmetic services to help improve the appearance of your smile. Stained or chipped teeth? No problem. Select a procedure below for more information. The major emphasis of our practice is on the prevention of dental disease. We believe that dental education, attention to home health care habits and regular preventive care can preclude the need for much dental treatment. When teeth have been damaged by cavities or normal wear and tear, restorative dentistry provides the solution for improved chewing as well as a prettier smile. When a tooth is broken, decayed, or lost, there are many options to restore your healthy smile. Constant pressure from chewing, grinding, and clenching may cause a filling to wear away, chip, or even fall out. Dr. Asha J. Vellanki can add new fillings or replace old fillings with several methods at her disposal. Crowns are needed to support a tooth when not enough tooth structure is remaining. If you have misshapen teeth, unsightly gaps, or deep discoloration, porcelain veneers may be the answer. Dr. Asha J. Vellanki can insert bridges to replace missing teeth, as well as create implants and crowns to restore your mouth to proper function. Our office treats the early stages of periodontal disease and can refer you to a periodontist, should your condition warrant this. The name says it all. In a little over an hour, and just one appointment, we can whiten your teeth up to eight shades. Founded by Dr. Asha Vellanki in 1999, Hope Dental Group continues a history of quality family oriented dentistry. Dr. Asha Vellanki received her Bachelors Degree in Dental Surgery from Madras, India and her D.D.S. (Doctor of Dental Surgery) from Loma Linda School of Dentistry in California. 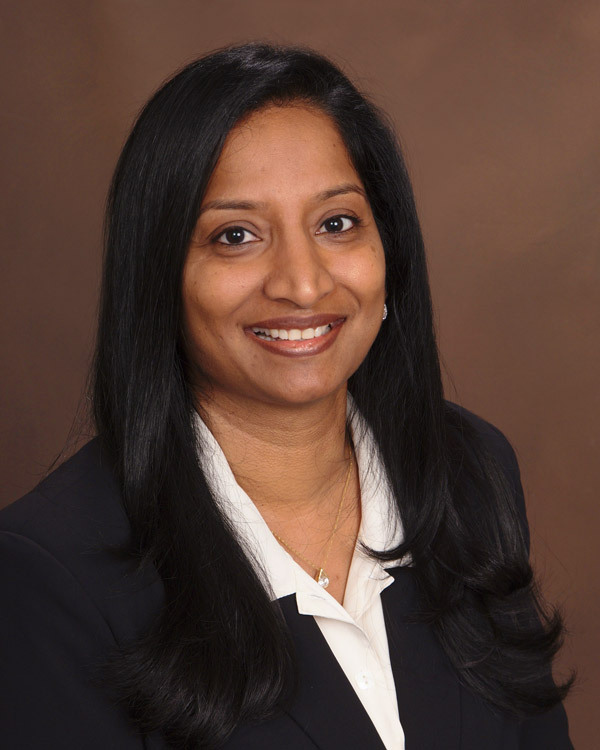 Dr. Vellanki is board certified and a member of the American Dental Association and the Georgia Dental Association. Dr. Vellanki is very dedicated to her patients and believes in comprehensive, courteous and responsive care for her patients. She loves the field of dentistry and is continually updating her knowledge and dental skills by attending many hours of advanced clinical course both locally and throughout the country. Dr. Vellanki resides in Norcross with her husband Sravan and two daughters and is active in many community related activities as well as volunteer programs. Dr. Vellanki looks forward to helping you with your dental needs. Call us at your convenience to schedule an appointment. Preventing dental disease starts with good oral hygiene and a balanced diet. It also includes regular dental exams, x-rays, and cleanings. Flouride and sealants are also great treatments for prevention. Restorative dentistry deals with the management and restoration of diseased, injured, or abnormal teeth and their supporting structures to bring them back to normal functionality. Restorative dentistry also includes the repair or replacement of damanged or defective teeth. Why would I need fillings? Over time, the layer of bacteria in your mouth (commonly known as plaque) slowly eats away at the enamel on your teeth. The bacteria will keep destroying a tiny amount of your tooth structure every day until a hole is formed. These holes are known by many names such as tooth decay, cavities, and dental caries. Our body cannot naturally heal teeth like it can with other bones so eventually a filling is needed to prevent pain and the eventual removal of the tooth. There are a variety of different materials that can be used for filling teeth. The two most common are amalgam and composite resin. Amalgam fillings form a soft material that can be used to build your tooth back to its original form. After a few minutes, the amalgam begins to harden as the metals integrate together. Studies have shown that amalgam is a safe, time-tested filling material. Composite fillings are newer than amalgam fillings and are constantly improving. Composite resin can be manipulated like modeling clay until a blue light is shined on it and a series of chemical reactions take place. The composite then hardens into a strong material that looks much like the natural tooth. A crown is used when a damaged tooth needs to be covered or "capped". A crown with strengthen the damaged tooth as well as improve the appearance and alignment. A crown can also be placed on top of an implant to improve functionality. Porcelain crowns can be matched to the color of your other teeth. Porcelain bonded to a metal shell is frequently used because it is both strong and attractive. Before a crown is made, the tooth must be reduced in size so that the crown can fit over it. After reducing the tooth, your dentist will take an impression so an exact mold for the crown can be made. Your dentist will determine the correct shade for the crown to match your other teeth. With proper care, crowns can last a lifetime. Good oral hygiene is the most important step you can take to ensure the longevity of your crown. A crown can loose support if the tooth holding it becomes damaged by dental disease. It is important to see your dentist regularly for professional cleaning and inspection of the crown. Porcelain veneers are thin pieces of porcelain that are attached to existing teeth to recreate the look of natural teeth while providing resilience similar to natural tooth enamel. Veneers are an option for people looking to make slight position alterations, or change the shape, size and/or color of their teeth. Veneers may seem like an ideal way to replicate a picture-perfect smile, but each mouth is different so consultation and analysis is necessary to determine the best option for you. Since veneers are hand-sculpted for each patient, it is nearly impossible to see the difference between a veneer and the natural teeth. Unlike natural teeth, veneers resist stains such as coffee, tea and cigarette smoke. Your natural teeth also remain largely intact with only a minimal amount being altered to allow the veneers to fit. Your dentist may recommend veneers to quickly fix minor twists, overlaps and gaps. Because the enamel of the original tooh is reduced, a veneer is not a reversible treatment. New veneers can be made but you can not return the original condition of the tooth. Veneers require some laboratory time so it will be at least a week before they can be applied. After veneers are attached, you may experience some sensitivity to hot and cold temperatures due to the removal of a thin layer of tooth enamel. This typically goes away within a few days. Veneers are brittle so you should avoid stresses such as chewing ice. A bridge may be recommended if you're missing one or more teeth in a row. Gaps from missing teeth can cause the remaining teeth to shift into the empty space which can dramatically alter the bite. The missing teeth can also lead to gum disease or temporomandibular joint (TMJ) disorders. Bridges span across the space where one or more teeth are missing. They are cemented to the natural teeth or implants surrounding the space. These anchor teeth are called abutments. A replacement tooth called a pontic is attached to the crowns that cover the abutments. Porcelain bridges can be matched to the color of your teeth. Before a bridge is made, the surrounding abutments must be reduced in size so that a pontic can fit over them. After reducing the teeth, your dentist will take an impression of your teeth and gums so an exact mold for the bridge can be made. Your dentist will determine the correct shade for the bridge to match your other teeth. With proper care, bridges can last a lifetime. Good oral hygiene is the most important step you can take to ensure the longevity of your bridge. A bridge can loose support if the teeth or bone holding it becomes damaged by dental disease. It is important to see your dentist regularly for professional cleaning and inspection of the bridge. Periodontal disease begins with bacterial growth in your mouth and, if not properly treated, may result in tooth loss due to the destruction of the gums surrounding your teeth. Gingivitis usually precedes periodontitis but does not always progress into periodontal disease. In the early stages of gingivitis, the gums may become inflamed and bleed easily when brushed. If no irreversible bone or tissue damage has occured the teeth may still be firmly planted in their sockets. When left untreated, the toxins produced by the bacteria in plaque and your body's infection fighting enzymes will start to break down the bone and connective tissues holding your teeth in place. Tooth loss can occur when the teeth are no longer properly anchored. Hormonal changes from pregnancy, puberty, menopause, and menstruation, make gums more sensitive which can make it easier for gingivitis to develop. Illness may also affect the condition of your gums. Diseases such as cancer or HIV can interfere with the immune system. Patients with diabetes are also at higher rick of developing infections includiong periodontal disease. Medications can lessen the flow of saliva which has a protective affect on teeth and gums. Some anti-convulsant and anti-aging drugs can cause abnormal growth of gum tissue. Habits such as smoking can impair gum tissue growth. Poor hygiene like infrequent/improper brushing makes it easier for Gingivitis to develop. Family history also plays a strong role in your oral health. If you have a family history of periodontitis then it is even more important to be vigilant about proper hygiene. When a tooth has become cracked or has a deep cavity, bacteria can cause infection inside the tooth. If left untreated, an abscess may form with pain and swelling of the gums. Without proper treatment, your tooth may be destroyed and you may injure your jaw or cause other detrimental health effects. What can I expect during a root canal? Root canal treatment can involve multiple visits. During treatment, your dentist removes the affected tissue then cleans and seals the interior of the tooth. The tooth is then filled with dental composite. If your tooth has extensive decay, your doctor may suggest using a crown to protect the tooth from further damage. Please contact your doctor if your are experiencing any of the symptoms. The most common side effect is tooth and gum sensitivity to hot and cold. Your dentist can ensure that you are a good candidate for whitening and that the formula is right for you. Zoom includes two desensitizing agents, potassium nitrate and Amorphous Calcium Phosphate (ACP) to minimize sensitivity. Individual results may vary but your smile will be noticeably whiter. With Philips Zoom WhiteSpeed, you can get up to eight shades whiter teeth in one 45-minute office visit. Unlike over-the-counter options, you dentist will work with you until you are satisfied with the results. Zoom Whitening will not prevent stains from coming back, but your personal habits (like smoking and drinking staining beverages) will impact your results. We will use your preferences to provide scheduling options that are as convenient for you as possible. Please ensure all fields are correctly entered. If you are a new patient, you can speed up your visit completing the new patient documents prior to your visit.